A good Succession Plan identifies, trains, and develops key internal employees that can fill leadership positions in the future. This gives the company confidence that a capable and highly competent individual is available to assume leadership roles when the need presents itself and ensures no competitor can take over. While it is easier to delay this process, it is a wise decision to always be prepared for the unexpected. Smart planning can prove to be beneficial especially during a time when your business is growing fast and steady. Choosing the type of succession planning depends on a lot of factors therefore needing expert advice. We are here to help you understand the how’s and why’s of succession planning so your business continues with the vision you created the day you started it. 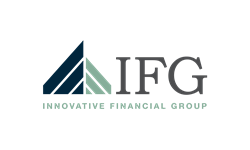 Innovative Financial Group has more than a decade of experience assisting business owners answer this question, “How well are you planned and how can you tell?”. Contact us today to get a complimentary conversation to ensure a brighter tomorrow!